Harley was hit by a car. We need some help! This is Harley. She was adopted out from us as a puppy and has been returned. 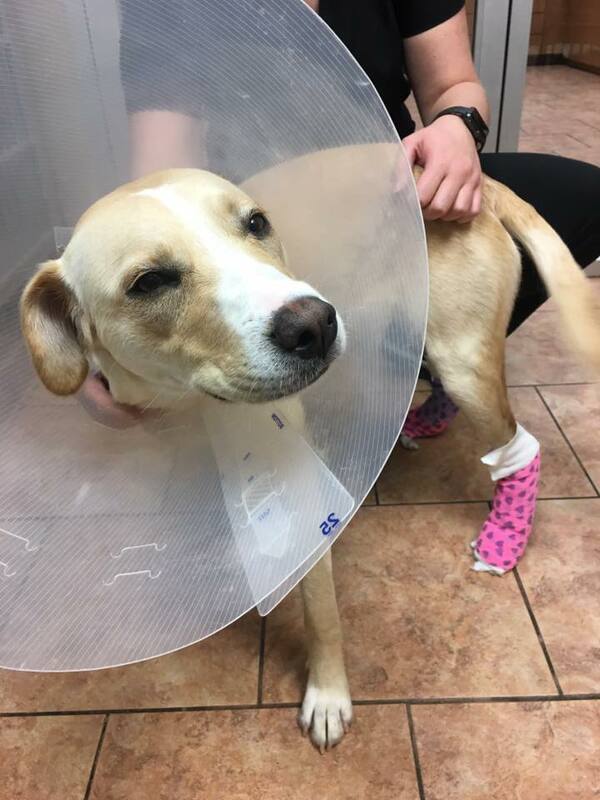 She was hit by a truck and we had to amputate part of her foot. She is otherwise healthy and strong but the cost of her surgery is a lot for us. It has costed a little over $1,000 and she still has bandage changes that cost us every other day. Please help this sweet girl get back up on her feet and ready to be part of a family! You can donate through PayPal using this link!